Learn about dinosaurs in their natural habitat! 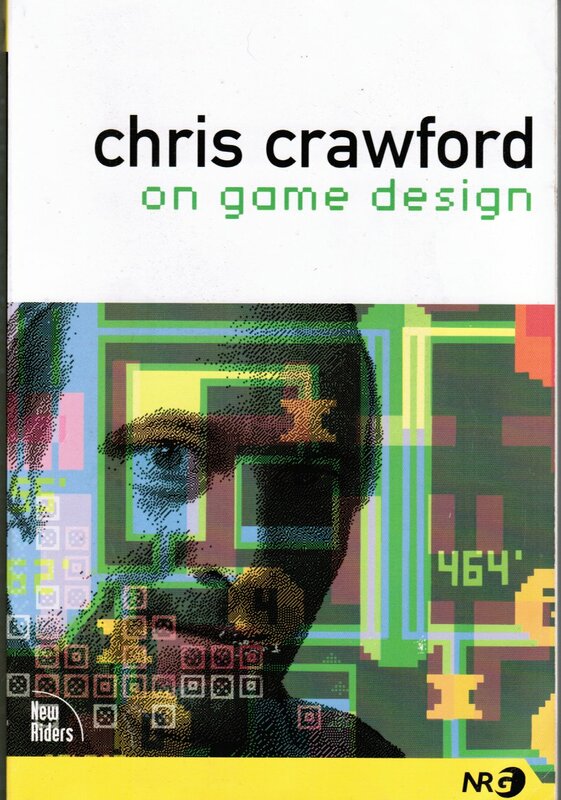 My well-read copy of Chris Crawford’s, “On Game Design.” It can be ordered here. We recently had the wonderful opportunity to get the legendary Chris Crawford’s comments about Dinosaur Island. If you don’t know who Chris Crawford is, click here. Chris has written many famous and important computer games. The list is far too long to add here (the above link goes to his Wikipedia entry which lists some of them). 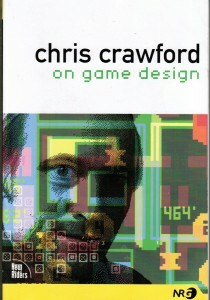 Chris has also had an extraordinary important impact on the history of computer game development. Chris was the founder of the Journal of Computer Game Development (Chris was kind enough to accept one of our articles for publication back in the day) and the Computer Game Developers Conference. Chris was also a pioneer in artificial intelligence for computer wargames (for which we cited him in one of our published papers here). That’s a great question because even though we know what the user does, and we have written about it in internal design documents, we haven’t really made it clear to you, the potential user. On Dinosaur Island the user can interact with the software on a number of levels. At the ‘topmost’ level the user can simply load any one of a number of ‘pre-designed scenarios’ and use Dinosaur Island as a digital terrarium, zooming in to watch specific dinosaurs feeding, fighting, and interacting. The user can always ‘pick up’ and move dinosaurs around (once a dinosaur is selected a helicopter appears, captures the selected dinosaur and moves it to the new desired location). The user can also request to be notified when specific events occur, or record them for later viewing. The user can also make large, sweeping changes to the environment, changing the weather, reducing the health and number of plants, increasing or decreasing the water levels, etc. At the next level the user can actually ‘jump in’ a dinosaur and control it. At the lowest level the user can modify all the important variables that we have seen in previous blog posts like the energy requirements, growth rates, sexual maturity dates and lifespan for dinosaur and plant species. The user can create their own new islands and decide what plants and dinosaurs inhabit it. There is no ‘right’ or ‘wrong’ way to interact with Dinosaur Island. It is designed to be fun and educational. To some extent it may be thought of as a Sim City for dinosaurs; except with the ability to ‘get under the hood’ and change the parameters of the model itself. 1) Our good friend and the producer of our second #1 game, UMS: The Universal Military Simulator, Dan Horn, once said, “Gameplay trumps everything.” Gameplay is just another way of saying, “what does the user do?” A classic example of great gameplay, but minimal graphics is Alexey Pajitnov’s Tetris. Every game programmer in the world has said, or at least thought, “I could have written Tetris in a month.” Yes, but it’s the gameplay that makes the game not the graphics or the complexity of the programming. Fossil Bed From the Great Extinction Found? Dinosaur Island & Cannibalistic T-Rexes!